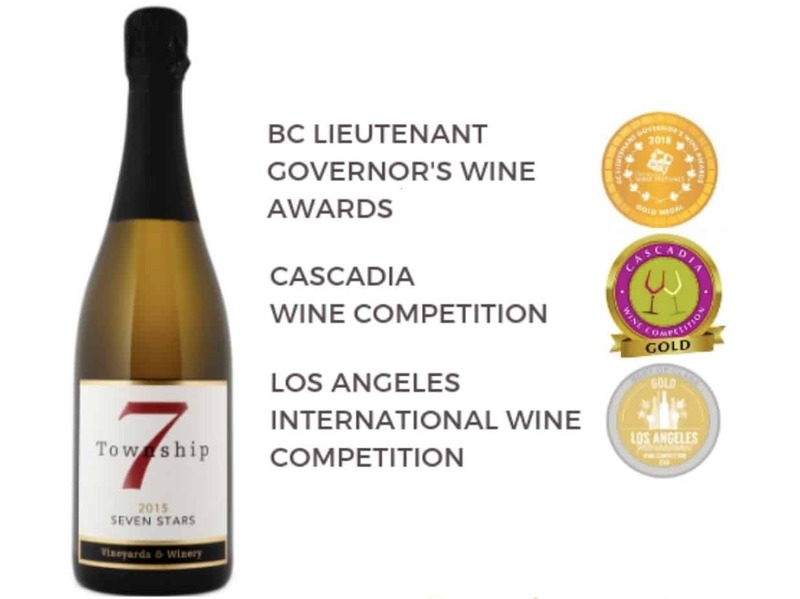 Celebrate Champagne Day and support local -- with our heavenly Seven Stars traditional method sparkling wine. A classic blanc de blanc, our 2015 vintage is 100% Chardonnay and is crafted in the Méthode Traditionelle style, whereby the wine undergoes a secondary fermentation in the same bottle in which it is served. Following the traditional French process, the wine was left en tirage for 18 months to ensure the development of classic autolytic characters with toasty brioche flavours and a luxurious mouthfeel. After riddling and disgorging we added a blend of our 2014 and 2015 Reserve Chardonnay as the dosage for freshness, complexity and depth of flavour. Other notable reviews include: 92 points from Canadian wine author John Schreiner, 91 points from Ontario wine critic Rick VanSickle, and 91 points from Tim Pawsey of HiredBelly.com/Quench Magazine, as well as features by Neal McLennan in Western Living Magazine, Anthony Gismondi in the Vancouver Sun, Eric Degerman and Andy Perdue in Great Northwest Wine Magazine, and by Daenna Van Mulligen in Montecristo Magazine, to name a few of the stellar reviews for this stellar wine.